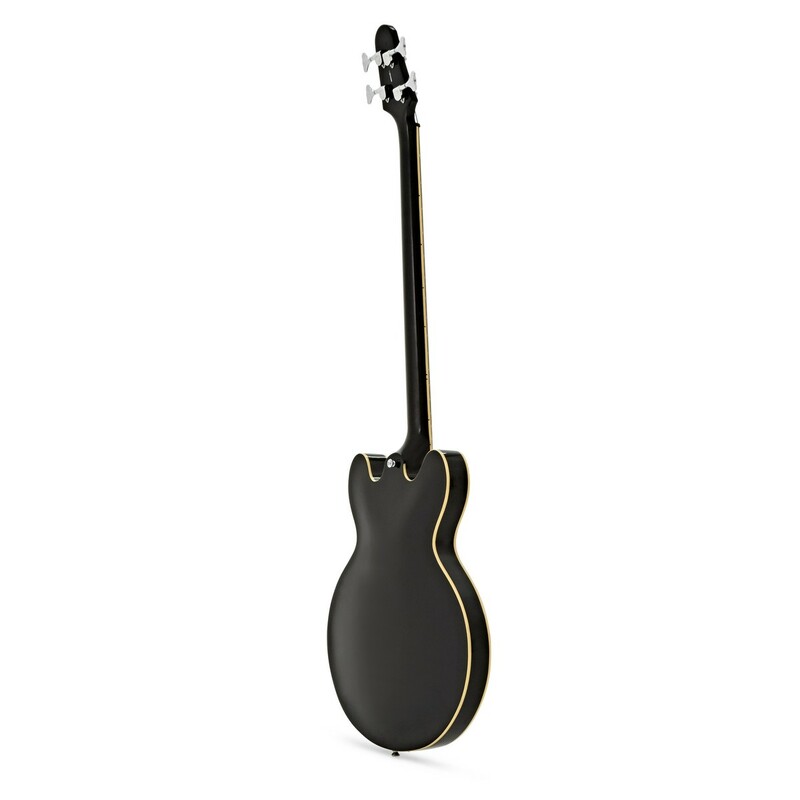 The RedSub HB Bass Guitar in jet black offers classic looks matched with a punchy sound and exceptional clarity. Loaded with two custom humbuckers the RedSub HB bass gives versatile tones with vintage warmth and projection. This old-school set up also provides a clean output that will cut through the mix. The RedSub HB is constructed of high quality USA Basswood, topped with a maple veneer, as well as a smooth maple neck and thermally treated maple fretboard. The use of premium tonewoods ensures a high quality build with a stable and stand-out sound. 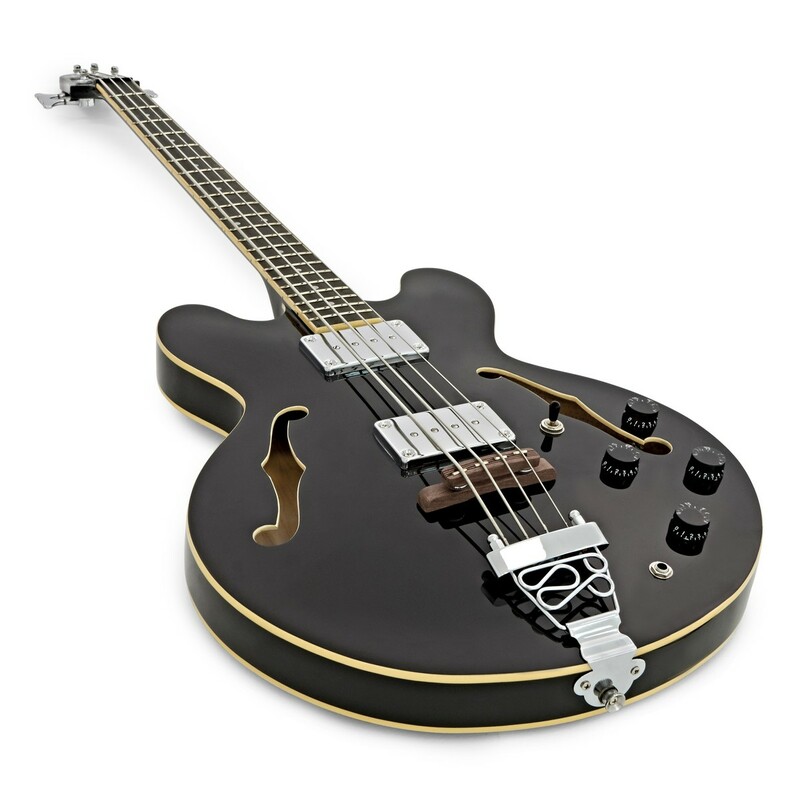 Built by master craftsman and luthiers in Vietnam, the HB Bass Guitar by RedSub is an extremely playable bass guitar that takes 1960's tones into modern day. 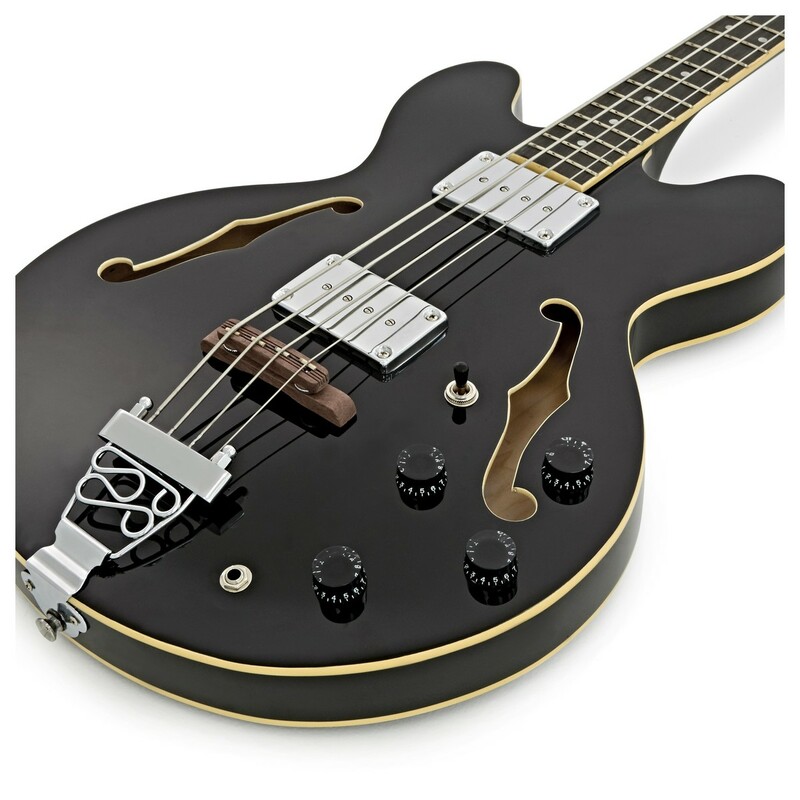 The RedSub HB Bass Guitar, Jet Black is inspired by the classic bass designs of the 1960's but with a modern twist. With a body made from high quality USA basswood with a maple veneer top, the RedSub HB provides a balanced and responsive tone. Along with a set maple neck and a thermally treated maple fretboard, the construction is true to the vintage models whilst remaining lightweight and playable. The classic look is finished off with an adjustable bridge and vintage style trapeze tailpiece for stable tuning. 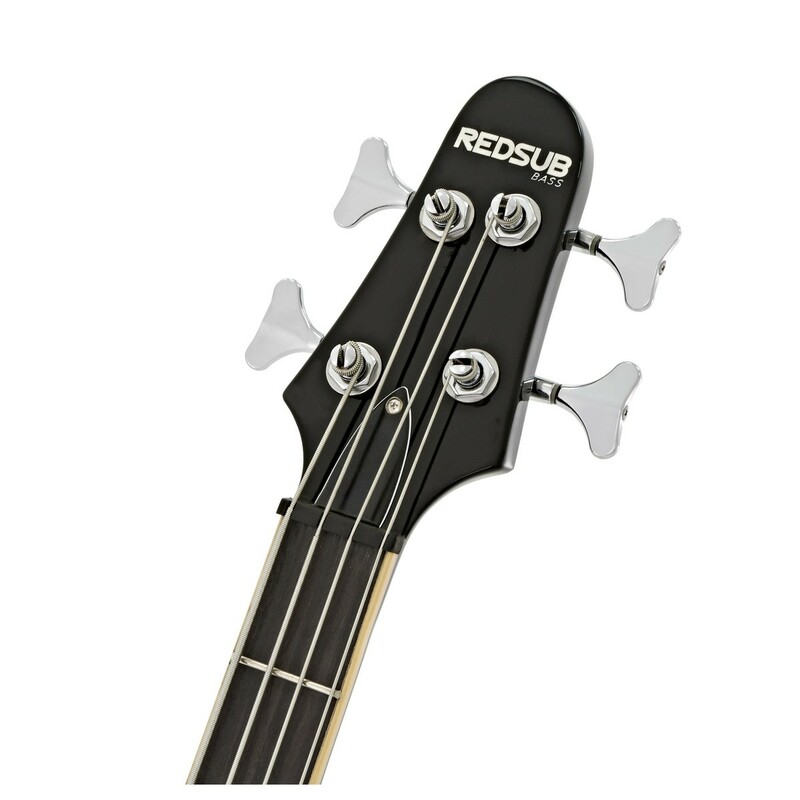 The RedSub HB Bass Guitar is equipped with two covered humbuckers, custom designed for warmth and projection. 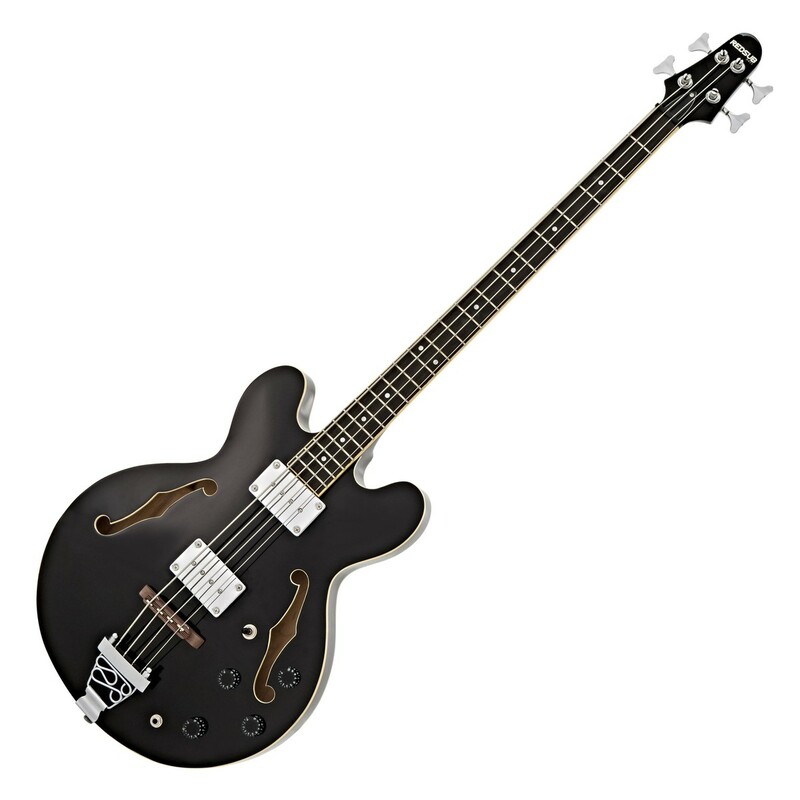 This versatile bass also offers a pair of volume and tone controls for both pickups, giving a range of tonal options that are ideal for classic jazz, blues, modern rock and much more! With a slim maple neck and comfortable 34" scale length, the RedSub HB Bass Guitar gives you exceptional playability and sustain. Premium bass guitars and amps. High-grade components, craftsmanship, and innovation. RedSub combines the latest in analogue and digital technology – to create unique guitars and distinctive amps designed for musicians. The ultimate in value, power, looks and sound.